RFID (Radio Frequency Identification) is a technology that has been in use for almost 20 years with a variety of applications. The reader activates the transponder through radio frequencies and the tag answers with its identification number along with all other data stored in it. There are on-site tag readers that automatically read the tags. These readers are linked to a computer that is running the system’s software. Therefore the data that tags have are sent to the software to analyse the content or to store information regarding the cylinder (or product). RFID is very common in several industries, including Industrial, Logistics, Retail, just to mention a few. Before the RFID, companies used to have barcode technology, which has many issues associated with it, including low memory capacity, high-sensitivity towards dirt and moisture, requirement of human labor for reading the tags and expenditure incurred on complicated printers. What are the options on RFID? By rule of thumb, the higher frequency is, the longer reading field will be. Nowadays, many Gas Distributor companies use Low Frequencies on RFID as it works well around metal and composite gas cylinders. Regarding the High or Ultra High Frequency tags, they are less expensive but users could be facing an issue as UHF or HF tags are very sensitive to steel, making not being able to read the cylinder with 100% accuracy. Depending on company needs and on the technologies used by the software suppliers, LF or HF/UHF will be a better solution than others. Low Frequency RFID is the mostly used as it provides excellent reading results, however, some suppliers on RIFD has started offering NFC (HF) solutions in order to target the final consumers. Indeed, this latest technology enables anybody who has a smartphone with the NFC reading system to have access to the cylinder information, allowing 100% control and improving the supply-chain. What is the impact on using RFID on LPG business? One of the biggest challenges in the LPG gas distribution business is to deal with the gas cylinders logistics. In basic words, it means being able to know how many cylinders the company has and where are they. In addition to that, a gas cylinder containing all the important information such as the fill date, expiration date, serial number and cylinder contents, arrives at the user’s site. By Using RFID tags, the users can receive the information regarding the cylinder’s operating pressure and liquid level as well. As a result, maintaining and operating a manual cylinder inventory has become easier with the introduction of this technology. Enhancing cylinder rotation and deliveries: By knowing where your LPG cylinders are, you would roughly know when users return their cylinders. Therefore you can plan better your fillings and deliveries. Saving on labour cost: The company will no longer need worker scanning barcodes or attend the filling process as the readers receive the cylinder’s information automatically when they are moving on the conveyor. Improving the storage of safety records: Paperwork or heavy folders are not required, every record is safely stored into RFID tags and in the software. All the information can be accessed by every user wherever they are. 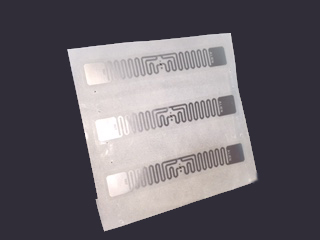 RFID tags can store useful information regarding the cylinder’s logistics, including date of manufacturing, name of manufacturer, country of origin, valve type, capacity of cylinder, standard, tare weight, maximum work pressure, test pressure, next re-test date, filling history, maintenance records, and customer’s name. This list is non-exhaustive and you can add more into the software if needed. Before buying a cylinder tracking solution, from Aburi Composites, we recommend it is important to carry out research and to have different opinions from the RFID providers. If possible, receive some feedback from independent companies who don’t sell RFID solution but who know this market. There are only few suppliers really specialised in this field and it’s always good to compare their offers. great idea.. innovation is business! I am sold to this idea. I can now complete my gas distribution business plan with marketable ideas. Thank you, please do not hesitate to contact us for further information. We will be delighted to help you.